I'm typing this from my office in the U.S. where we still have a good 13 hours of 2008 left. But since many of you around the globe are already welcoming 2009, I don't feel too bad about posting early. Looks like it's time to start reaching for the "9" rather than the "8"... another new year is upon us. 2008 was certainly full of surprises--some amazingly wonderful, some frustrating. But such is the way of all years, and I wouldn't have 2009 any different. I will say 2009 seems particularly rich with promise... the LOTR Symphony will reach Abu Dhabi and Prague (and likely other places), FOTR Live will come to London, France and New York, TTT Live will debut once again in Lucerne before heading to Munich and Wolf Trap. And of course, there's the little matter of a long expected party next October, and the release of the The Music of the Lord of the Rings Films, the Master Box... and I solemnly promise to come up with a better name than "The Whole Enchilada" before then! This is all to say nothing of the behind-the-scenes scurrying on projects that will reach past 2009. ROTK Live will soon be in the works as will, of course, The Hobbit! I'm glad we have our little Hobbit-hole here, and I'll do my best to keep it as interesting as ever in the coming year, if not more so. Believe me, there are still big things in the works! So Happy New Year, everyone! After a few days of holiday downtime, I'm going to start working my way through the backlog of posts and emails this afternoon. So if you've attempted to contact me recently, expect a response soon! EXTRAORDINARY LIVE MUSIC EVENT IN THE HEART OF NEW YORK CITY WITH ORCHESTRA AND VAST CHOIR PERFORMING LIVE TO THE FILM! Tickets Go On-Sale Friday, December 19th at Noon for This Two-Night Only Can’t-Miss Event! December 18, 2008 — New York, NY — Devoted fans of J.R.R. Tolkien’s classic The Lord of the Rings have read the books, they’ve seen Peter Jackson’s Academy® Award-winning films, and now they will have a chance to experience composer Howard Shore’s Academy® and Grammy®-winning score to The Fellowship of the Ring live at Radio City Music Hall on Friday, October 9th and Saturday October 10th. 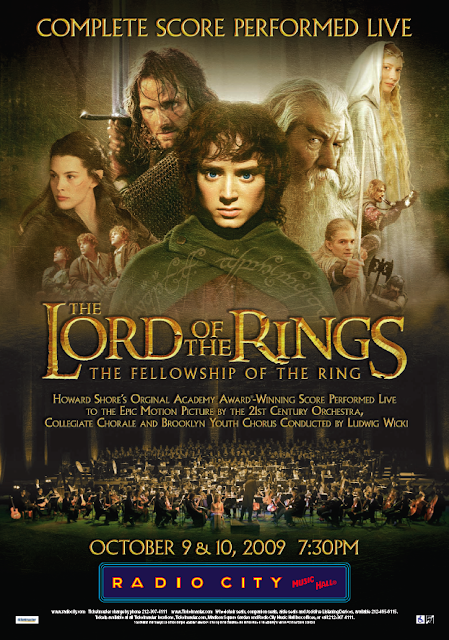 For this extraordinary event, 300 musicians—a 75-piece orchestra and a 225-member choir—have been gathered to perform the complete score to 2001’s The Fellowship of the Ring live with the motion picture on a massive screen towering above the stage. Switzerland’s 21st Century Orchestra, under the baton of Maestro Ludwig Wicki and featuring The Collegiate Chorale, the Brooklyn Youth Chorus, and vocal soloist Kaitlyn Lusk, will perform Shore’s epic score synchronized to picture. Shore will introduce each evening’s performances, which take place at 7:30 p.m., in a pre-concert lecture with Doug Adams, author of The Music of the Lord of the Rings Films, and will be available to greet fans at additional events scheduled throughout the weekend. This once-in-a-lifetime, family-friendly event, held at the most prestigious concert venue in the world, is a milestone affair not to be missed by fans of The Lord of the Rings and classical music lovers everywhere! Tickets go on-sale Friday, December 19th, at noon, and make the perfect holiday gift for a family outing over the Columbus Day weekend. Don’t miss it! Tickets to The Fellowship of the Ring at Radio City Music Hall are available beginning on the first day of sale through Ticketmaster Charge By Phone and all Ticketmaster Outlets, and beginning on the second day of sale at the Garden and Music Hall Box Office. All tickets purchased for Madison Square Garden and Radio City Music Hall events contain a Facility Charge. TicketMaster purchases are also subject to their service charge. The telephone number for Madison Square Garden Event and Ticket Information is (212) 465-MSG1. The Group Sales number is (212) 465-6080. The telephone number for the Madison Square Garden Disabled Services department is (212) 465-6034; for the Radio City Music Hall Disabled Services department, (212) 465-6115 for tickets and information. The TicketMaster information and TicketMaster Charge by Phone number is (212) 307-4111. This is really big, folks! It will be a weekend-long series of events celebrating Howard Shore's work in Tolkien's world. Nothing quite like this has been done before. Particularly relevant to readers of this blog, although we still have some details to work out it's not yet official, the current plan is to release both The Music of the Lord of the Rings Films book and The Master Box box set--including The Rarities Archives--at this event. And yes, we intend to do so in high style... with a little long expected release party! Many of you have been here with me since this all started. It would be wonderful to have you there with me and the end of this thing! Spread the word and make your plans--I would love to see you all there! I promised you a small book update, and so you shall have one. It's getting progressively difficult to do updates on the book, only because it's easier to write about conceptualization than about execution. But I'll do my best! Yesterday I did another review session with HS. Between holiday and travel schedules (he'd just returned from Montreal where he recorded a new piece for the upcoming Winter Olympics), it's hard to make time to sit down, but were able to manage an hour or so, and that was all we needed. At this point, we're mostly going through Shore's quotes with a fine-toothed comb to make sure he's happy with everything he said. His assistant, Alan, joked that HS could change any quote he wanted, as long as he spoke the revision out loud--that way we could could still claim to be quoting him accurately. With these edits incorporated, the text is now set to ship to the publishers, which it will later this week. Like most of us, they'll have some down time at the end of December. But come January, we'll begin the layout process. I think we're providing a pretty good template with our mock-up, but I'm very curious and excited to see what real layout artists can do with this. It'll feel strange to have someone poking and prodding something that's been my sole property for so many years, but such is the way of things. As the axiom goes, creative efforts are never finished, they're just set free. And anyway, I should have my hands full with The Rarities. 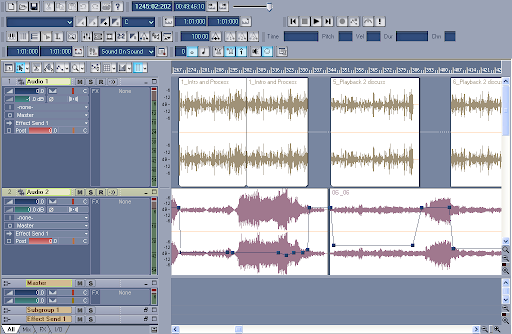 The waveforms posted here last week were indeed commentaries in mid-edit. I don't want to say too much about how we're using them just yet, but that probably surprises very few. It looks like I'll be back in NY in late January/early February to finish up recording material for TRA, but there's still plenty to be done after that. To those Tolkien fans still tending to last-minute shopping, may I humble (and impracticably) submit the following. Minor book update's tonight. See you then. The Hollywood Reporter has just posted a fun piece for which they congregated five composers they believe to be Oscar frontrunners this year: Alexandre Desplat, Danny Elfman, Jan Kaczmarek, Howard Shore and A.R. Rahman. It's rare that composers get together like this, so it's particularly interesting to see these gentlemen bounce off one another. Read the six-page article beginning here. I'm not sure if any of the blog's readership hails from the Kuala Lumpur vicinity, but I'm extremely interested to hear how the Symphony is received there this weekend. Should anyone be in the neighborhood, please drop a line! As I understand it, this concert hall is nestled between the Petronas Towers. For sheer spectacle, this performance will be hard to beat. Tickets for this year's TTT Live performance in Lucerne, Switzerland are going fast. Saturday evening is now sold out and the others dwindling. Still undecided as to whether or not you should attend? Perhaps the video below (in which my hair looks very odd) will help you decide. Hope to see you all there! Since this is mentioned briefly on Shore's own page, I guess it's now safe to reveal: As you know, the scores to Doubt and The Betrayal (Nerakhoon) are soon to be released. What you don't yet know is that these will be the debut releases on HOWE Records, a new label Shore has just started up. This is a very promising development for those hoping to get their hands on unreleased materials from the composer's back catalogue. Apologies to Mssrs. Stravinsky and Hogarth for the title appropriation. It's come and gone already, but should be noted that Shore was honored this year with a Lifetime Achievement award at this year's Santa Fe Film Festival in Santa Fe, New Mexico. Co-awardees include cinematographer Vilmos Zsigmond and actor James Cromwell. Congratulations to all! You may visit the Festival's site here. For quite some time now, I've been hoping to find a better system for the Ongoing Discussion threads. Blogger is not really designed for such things. I've done a little poking around, and think I've found a system that's vastly more appropriate. So this month, I'm asking everyone to give it a shot. If it's a disaster, I'm happy to revert... but let's give it until the end of December or so before making a decision. Here's the deal. Please head over to www.disqus.com and register for a free account. It takes about 4 seconds and, from the research I've done, is completely secure and not at all apt to open you up to any extra spamming. After that, come back to this post and chatter to your heart's content. You'll now be able to respond (and link) to individual posts, use avatars, etc. You know, real message board stuff! So please, try it out, won't you? I think it'll make our discussions here far more engaging and rewarding. I've always loved the give and take discussions, and this new technology should improve the flow. See ya on the board! I have no reason to post this, other than to alleviate a little holiday-induced stress. Musicians will love the inside jokes. And the rest... if you're not laughing at Beethoven's eyebrows by day 12, I can't help you! And just to maintain a semblance of relevance: there was a quick mention of the upcoming LOTR Symphony performances in Kuala Lumpur in Malaysia's The New Straits Times today. It's not much, but see here to check it out. It's always great to see the Symphony expanding to new parts of the globe. 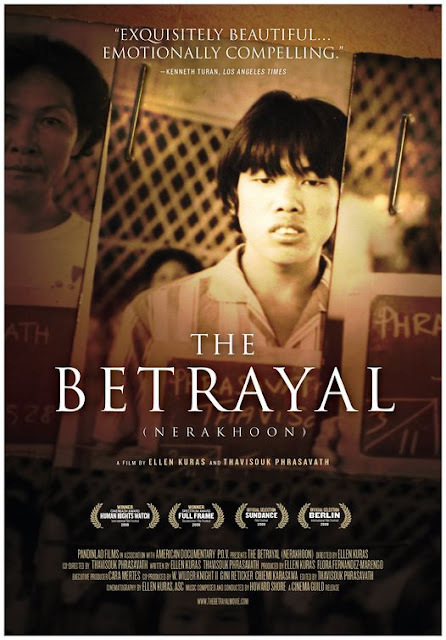 Award-watchers may wish to note that The Betrayal (Nerakhoon) has made the AMPAS shortlist for Best Documentary. Congratulations and best of luck to director Ellen Kuras! Incidentally, this film will air in the U.S. on PBS in 2009, though the date has not yet been announced. Click the links at right and order to your hearts' content!